For more information regarding this event, please telephone Hannah Hunt on 023 8059 1906 or email youreit@southampton.ac.uk . 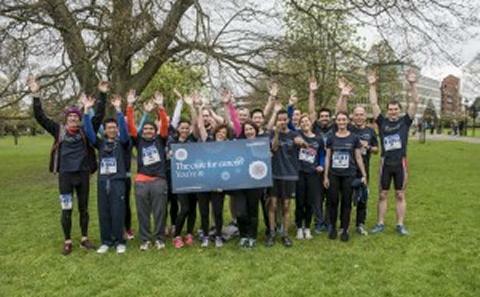 The University of Southampton’s campaign for the Centre for Cancer Immunology is delighted to announce that this year it is the Lead Local Charity for the ABP Southampton Marathon. This event, comprising of a marathon, half marathon and 10k, will see runners enjoy closed roads through the heart of Southampton’s city centre, passing iconic local landmarks including Bargate, QE2 Anchor and St Mary’s Stadium. The new marathon route is an exciting mix of coast, city and parks and is predominantly flat – perfect for a debut marathon. The University is witnessing huge strides in the battle against cancer thanks to its groundbreaking research and treatment that uses the body’s immune system to eradicate cancer – offering patients the potential of a lifetime of immunity. The University is raising £25m to open a world-leading centre to accelerate progress in this area of cancer immunology research. The new, state-of-the-art Centre will be based at Southampton General Hospital and is due to open by the end of this year. If you are interested in running in aid of the campaign, whether you choose the 10k, half marathon or marathon distances, the campaign is pleased to be able to offer you a special 10% discount off the entrance fee. Our team will offer you all the support you need: a fundraising pack, T-shirt and training tips, as well as cheering you on, on the day. To sign up for the ABP Southampton 10k, Half Marathon or Marathon, or to find out more about the event, follow the "Book This Event" button above and use the code YOUREIT17 for your 10% off and to run in aid of the campaign.